With Virtual Adviser questions are displayed on the screen whilst the adviser speaks with you. There is also supplementary information shown. This saves your time in that the adviser does not have to explain information you already know. But if its new to you the information is show, obviously the adviser will explain in more detail if required. Buy showing diagrams the adviser can talk you through the process. The information in this virtual adviser diagram can be understood in seconds where as trying to explain just using word will take longer and it is much more likely that there are misunderstandings. 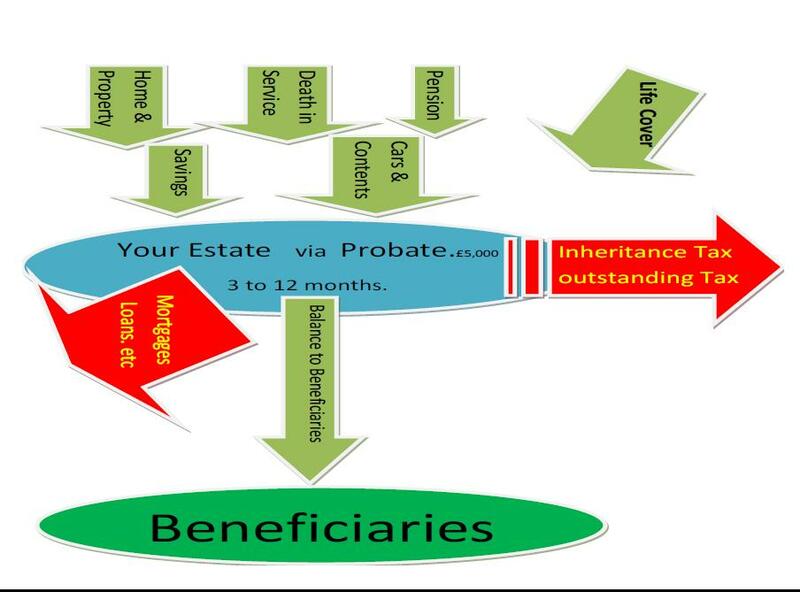 Trying to explain a family hierarchy tree in words is quite difficult but easy to understand with Virtual Adviser a diagram. 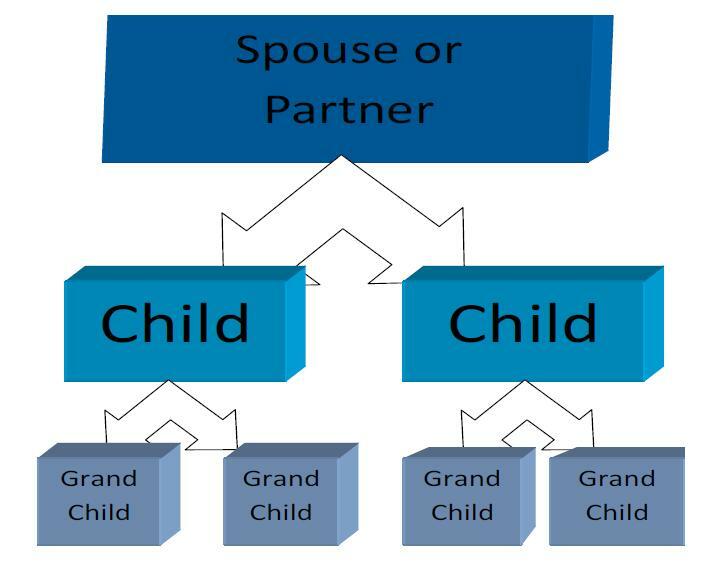 With virtual adviser diagram the consequence of your partner remarrying are quite clear but just using words can be complex. We have a large number of virtual adviser diagrams and charts so your individual virtual adviser presentation can be tailored by the adviser to suit your own personal needs and requirements. 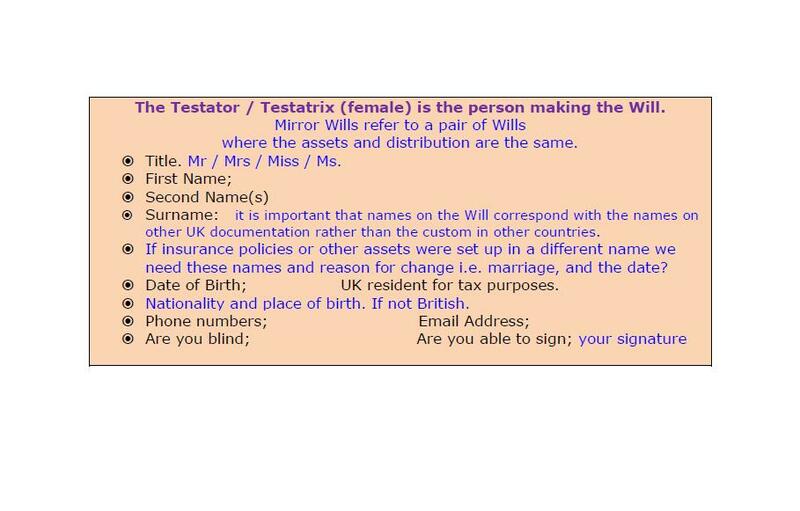 If you are a couple writing a will because you have joint assets and responsibilities or grandparents wanting to be sure your estate is distributed correctly, the solutions can be displayed via virtual adviser. 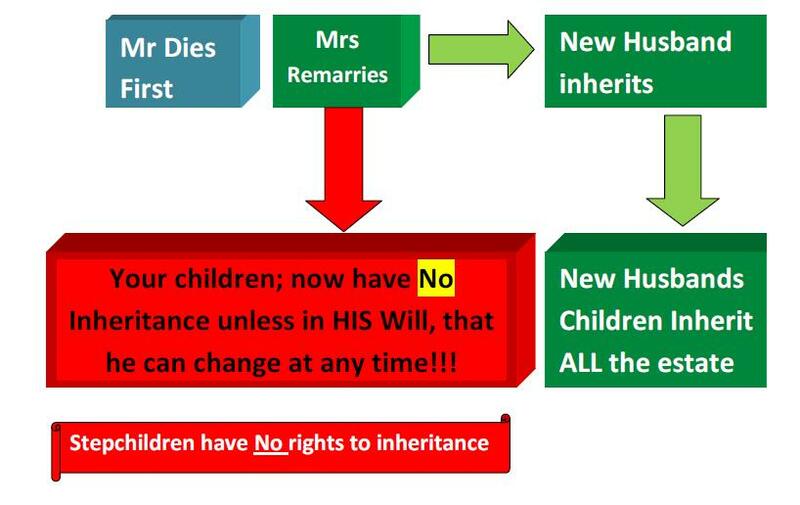 With families becoming more complex with step children and unmarried partners having a clear understanding of your Will’s distribution and the consequences is vital this is extremely difficult to explain with just words but much clearer with virtual adviser diagrams. There is no software to download you just go to our Virtual adviser website, and talk to the adviser by phone.